How To Talk to Anyone (1998) is an indispensable guide to improving your conversations and becoming more graceful and effective in your social interactions – no matter the situation. 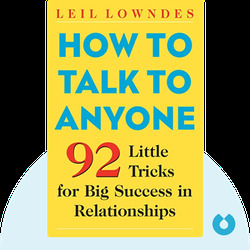 Leil Lowndes offers readers a treasure trove of techniques and tips that will help any socially awkward individual gain more confidence in workplace environments, meetings, their private lives and at parties. Leil Lowndes is an author and public speaker whose work is focused on helping people develop better tools for communicating with one another. With decades of experience, she has recognized many of the subtle and subconscious signals that can make or break relationships. 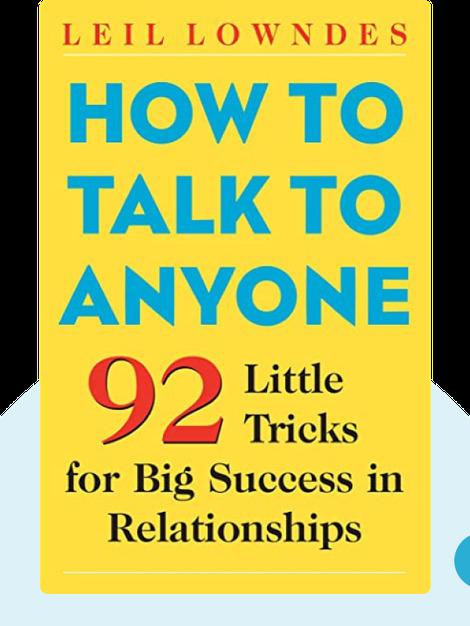 Her other popular books include How to Instantly Connect with Anyone (2009) and How to Be a People Magnet (2002).